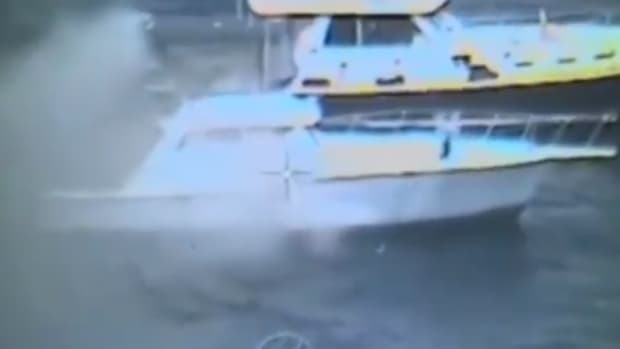 A Sun-Sentinel report said a 75-foot Azimut and a 50-foot Sunseeker burned; a WSVN-TV report said the boats were a 50-foot Azimut and a 78-foot Sunseeker. 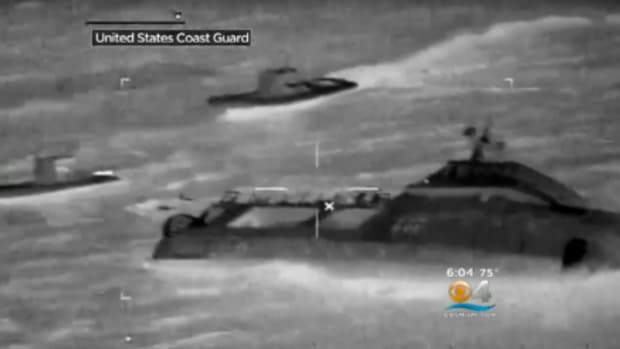 The smaller of the two was slated to be in one of the upcoming Miami boat shows, a witness told WSVN. 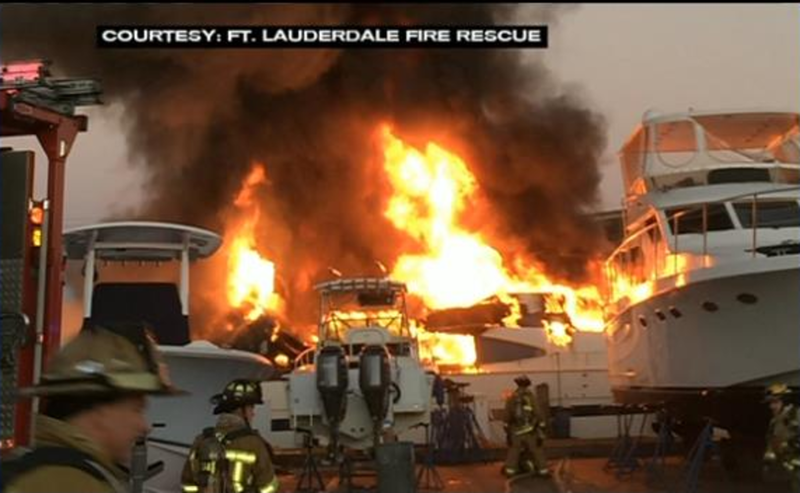 Two yachts were engulfed in flames Sunday at a Fort Lauderdale marina. 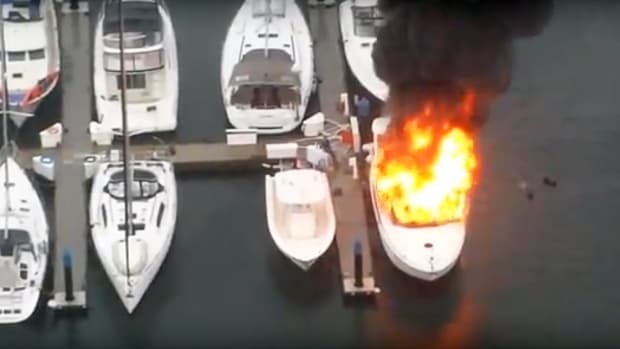 An Azimut and a Sunseeker burned at the Yacht Management marina. 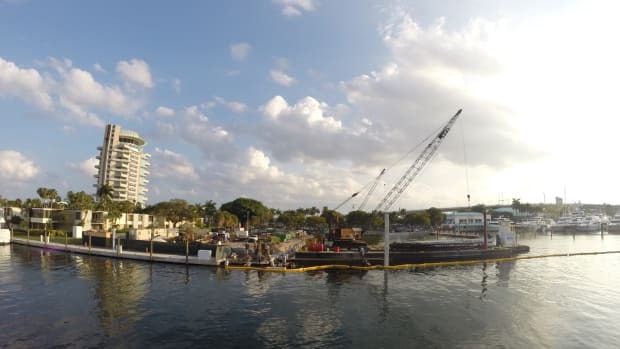 Part of the marina was to remain closed until today, when investigators expected to be able to lift the yachts — worth millions of dollars — out of the water, according to CBS Miami. 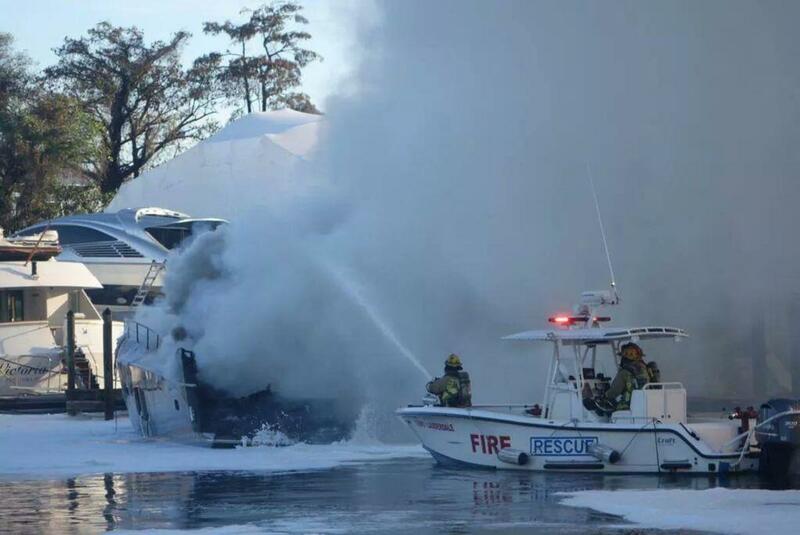 Once the fire was nearly out, the damage was obvious: burned fiberglass, the boats almost unrecognizable and undeniably unsalvageable. 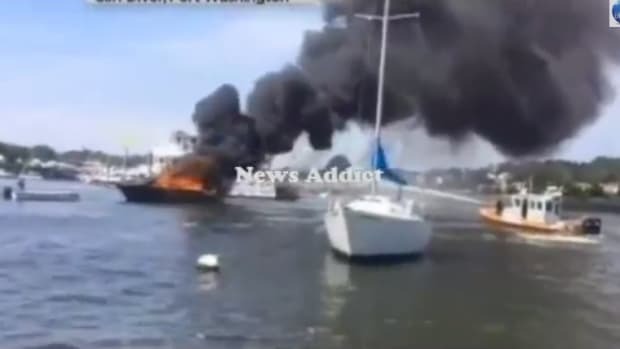 Although the exact amount of damage to the vessels is unknown, the owners will be lucky if they can salvage anything. “One looks like a complete loss. 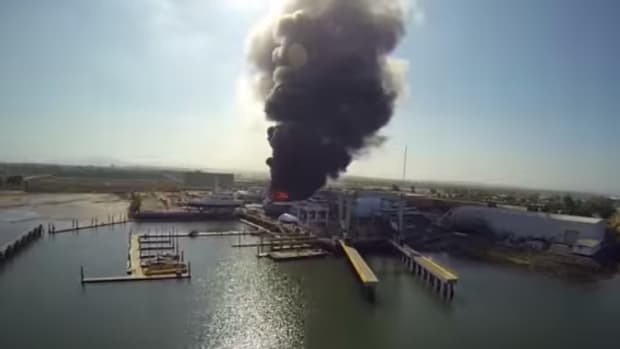 It’s just an inferno over there,” said the caller, who was identified by CBS News as Jeremy Lycke. 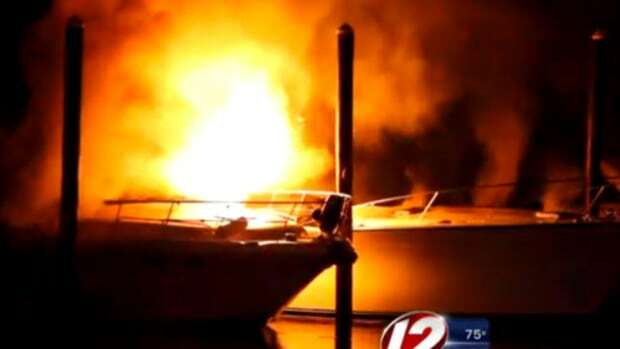 Fire officials said the yachts were tied by rope to at least four other vessels, so firefighters acted quickly to ensure that the flames did not reach other boats. More than 45 firefighters responded. “There were several vessels tied to those boats. 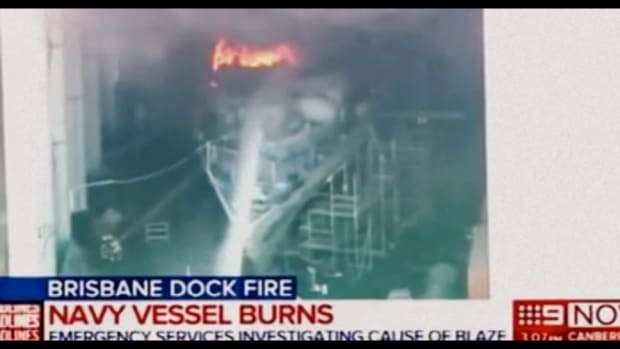 They broke those off so the fire wouldn’t spread to those vessels. 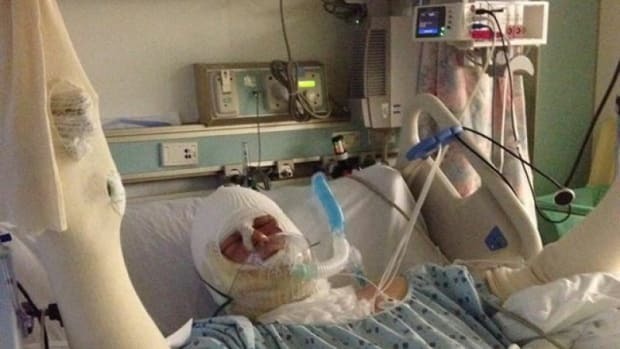 They did a rapid attack,” Fort Lauderdale Deputy Fire Chief Timothy Heiser told WSVN.